As a mother I have made it my mission to keep the smile upon my son Jacob’s face. Since the moment he came out of his coma surviving a severe brain infection, 2 major haemorrhages, 2 bouts in ITU and 4 life threatening brain surgeries which left him with extensive brain damage and consequently disabled in February 2013, I have made a promise to myself that my family would not play the pity game and would do whatever it takes to make my son the hero and not the victim!! When you pay your bill (no extra charges) we will stamp your receipt with our PAY IT FORWARD stamp. You will have the opportunity to pass this receipt on to a family that you may know or perhaps may come across that you feel may need support. When they come to our coffee shop and give us the stamped receipt we will offer them a free pot of coffee or tea and the support that they need! 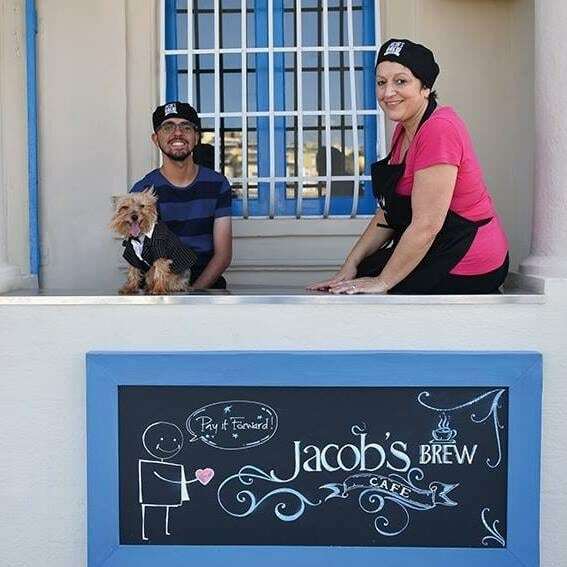 At the end of every financial year my family will donate a percentage of the profits from sales at Jacob’s Brew to the NGO Survivors Malta funding existing projects and future initiatives. So ultimately by helping us make our business a success we will be able to continue to pay it forward to help other Survivor families!! If you have taken the time to read this over a cup of coffee remember YOU too can pay it forward simply by choosing to be a patron here at Jacob’s Brew ultimately helping us to help others! !